Hey Everyone! 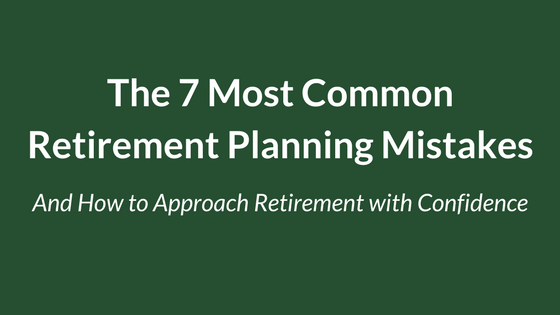 I'd like to invite you to our next live online event: The 7 Most Common Retirement Planning Mistakes. Thanks to your feedback, we've put together a workshop that will cover the top mistakes I see in my practice and how you can avoid them. We'll be hosting the workshop this coming Thursday, 4/26, from 10-11am PST / 1-2pm EST. This workshop will be live, and if I manage the time correctly we'll have room for an open Q&A at the end. So come prepared with retirement planning & investment related questions. This event will be free, but space is limited so grab your spot now while there's availability. If you’ve been paying any kind of attention to the markets over the last two months, you’ve probably noticed a new trend: volatility. Consistent market volatility isn’t something we’ve seen in quite some time. Other than the market’s brief reaction to the Brexit, we really haven’t seen much upheaval since the depths of the financial crisis. 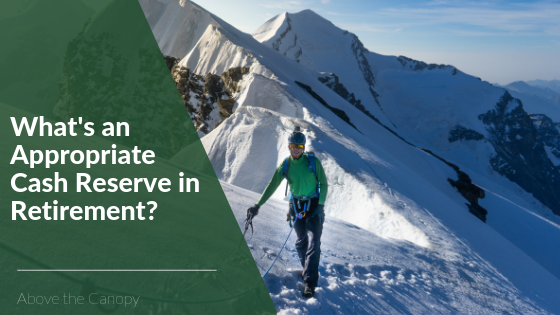 With tighter monetary policy from the Federal Reserve and both feet on the gas of our fiscal policy here in the U.S., there’s a good chance the choppy waters are here to stay. 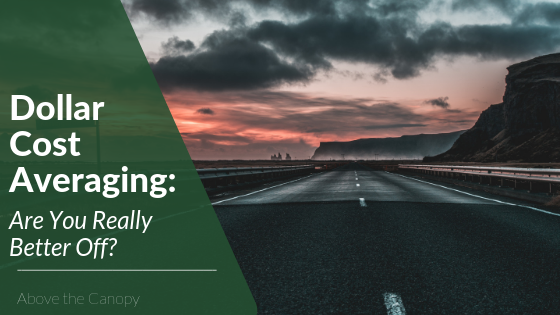 Since I’ve been getting a ton of questions recently about how to handle market volatility, I figured it’d be a good subject for an online training. 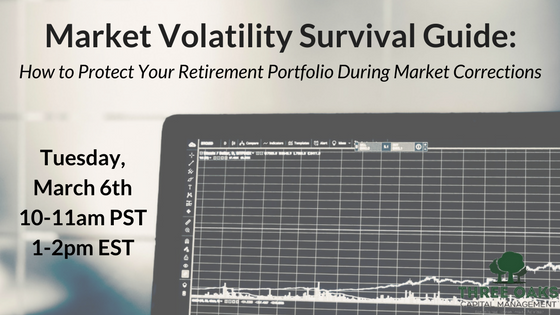 So, this Tuesday, March 6th, from 10-11am PST / 1-2pm EST, I’ll be hosting a free online training on how to protect your retirement accounts during market corrections. Here’s the link to register. This will be a free online event, but seating is strictly limited to 100 attendees. Feel free to spread the word to your friends/family members/colleagues who might be interested, but make sure you reserve your spot before the spaces are filled. 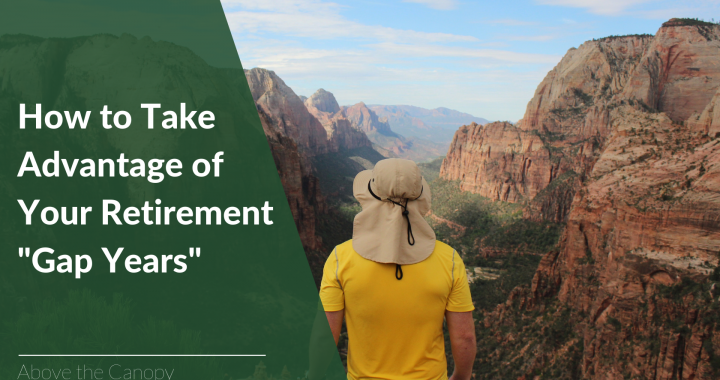 I’m a believer that the biggest factor contributing to the returns in your portfolio is asset allocation. 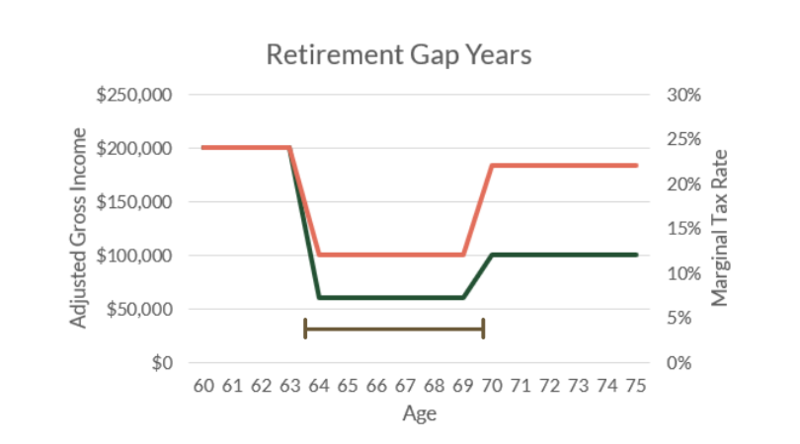 The amount of your portfolio you choose to invest in stocks, bonds, real estate, or anything else will ultimately have the biggest effect on how your portfolio does over the long run. In other words, the decision of whether to buy Lowe’s or Home Depot isn’t nearly as important than the decision to be in large cap stocks or international bonds. 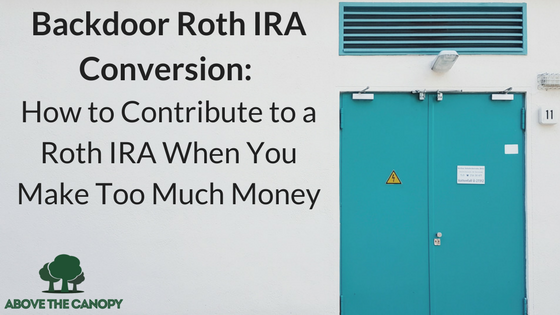 If you’re being strategic about your saving, you’ll probably try to utilize tax advantaged accounts like IRAs, Roth IRAs, and 401(k)s as much as you can. If you’re using them (like most people), after a while your total portfolio will probably be spread across several different types of these accounts. 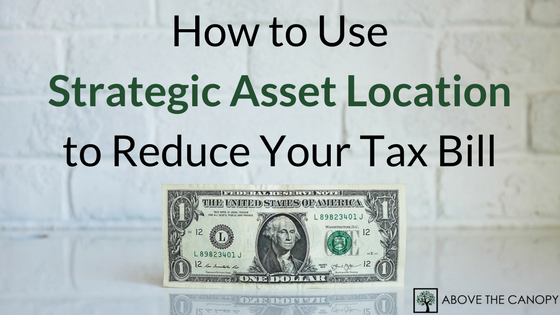 Today’s post covers asset location. Rather than replicate the exact same asset allocation in each of your individual accounts, placing your investments across them strategically can work to reduce your tax bill and enhance your after tax returns. Since some asset classes are more likely to distribute taxable income & capital gains, parking them in the accounts you don’t pay tax on (like a Roth IRA), only seems logical. When done thoughtfully, asset location can as much as 0.25%-0.75% per year to your portfolio’s returns. 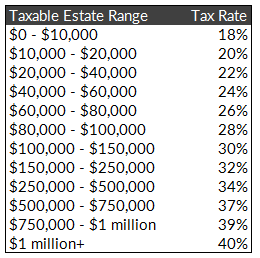 For business owners starting to think about the next generation, the phrases”estate tax” or “transfer tax” almost seem like curse words. 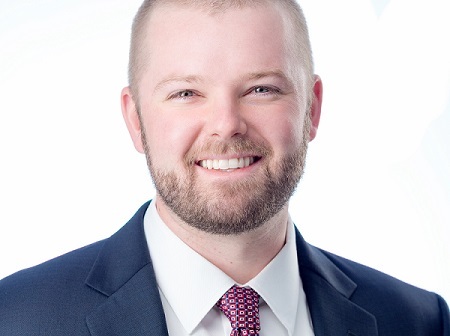 The bad news is that when you build an estate of a certain size, the IRS wants to get in your pockets regardless of what, when, or how you transfer your assets to beneficiaries. 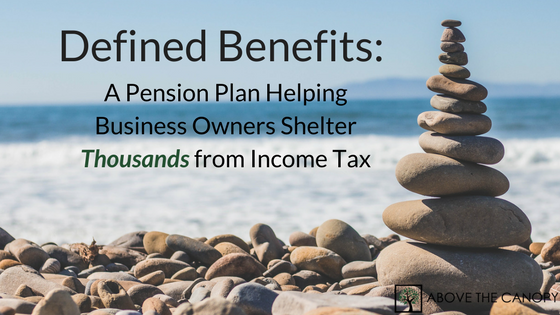 The good news is that there are plenty of strategies available to help you minimize these taxes. 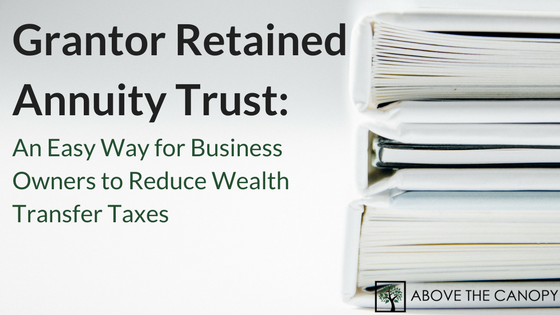 The grantor retained annuity trust is one of them, and will be the topic of today’s post. 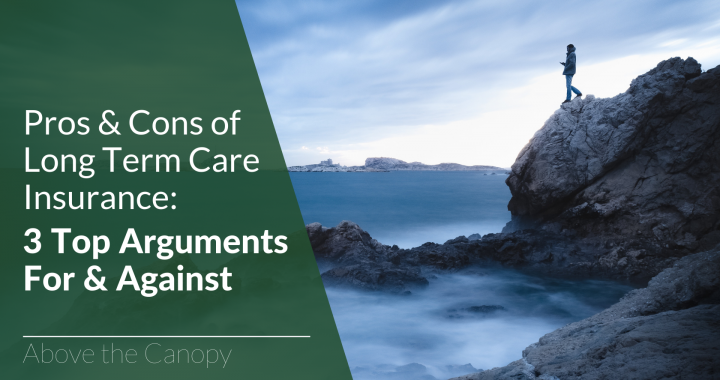 We’ll cover what they are, why they’re beneficial, and how you might go about using one. Ok – before we dive into the details, let’s review what taxes typically apply when you gift an asset to someone else. First off, you’re allowed to give away $14,000 per year, per person tax free. If you’re married, you and your spouse are both allowed $14,000 per person per year, or $28,000 total. So, if you and your spouse want to gift each of your kids $28,000 for their birthday every year, you could do so tax free. (It’d be one heck of a birthday present, too). You also have a lifetime gift exclusion. This is the amount that you can give away, either while you’re alive or after you die, without incurring any federal estate or gift taxes. Anything that exceeds the $14,000 annual limit (or doesn’t qualify) works against your lifetime exclusion. The lifetime gift exclusion in 2017 is $5.49 million, which inches higher with inflation over time. Here again you can combine your lifetime exclusion with your spouse, for a total of $10.98 million.